The Cookoo smart watch has a long lasting battery and is water resistant but it offers limited functionality. This is a product that feels half baked so we really can't recommend it in its current state. Smart watches are set to become very popular this year and rumours suggest that Apple is working on an "iWatch" device that will connect to your smartphone. Little known company ConnecteDevice already has such a product available called the Cookoo watch. Unfortunately, the Cookoo has limited functionality and the overall product feels half baked. The Cookoo looks much like any ordinary quartz watch. The Cookoo smart watch actually doesn't look like a smart watch at all. It has a round, analogue face with standard hour, minute and seconds handles, so it looks much like any ordinary quartz watch. It's constructed using a plastic casing, an aluminium bezel, and a mineral glass front and uses a standard Japanese analog movement for keeping the time. The Cookoo watch itself is a little thick but the case diameter of 44mm is a good size and the rubber band is light and comfortable to wear. 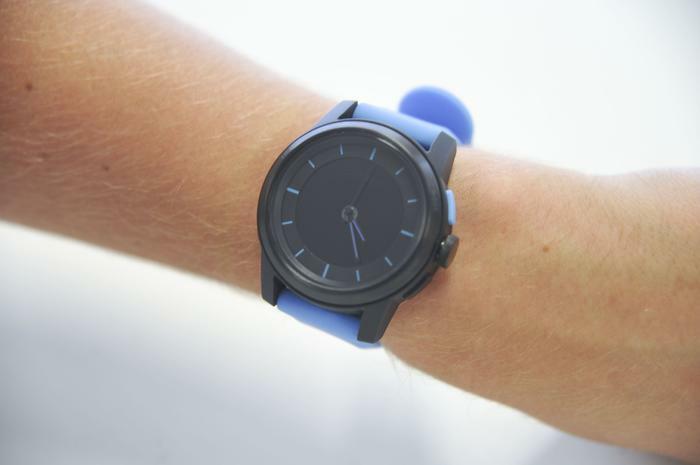 We reviewed the black variant and it contrasts nicely with the light blue wristband. 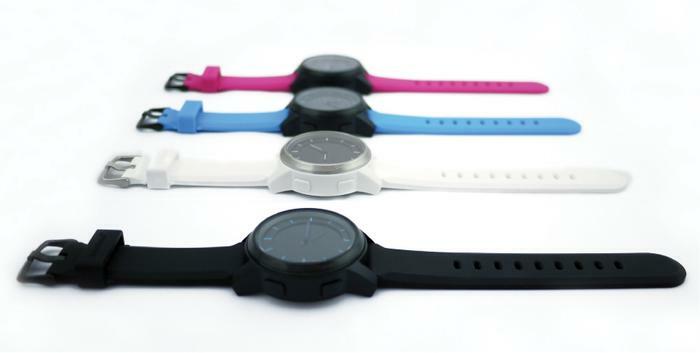 The Cookoo watch is available in a variety of colours. The battery in the Cookoo watch should last about a year before needing replacing. There are a couple of real benefits to the design of the Cookoo watch. Firstly, unlike many other smart watches on the market, it doesn't need to be recharged. It runs on a standard CR2032 Lithium battery, the same used in most typical, battery operated watches. ConnecteDevice says the battery in the Cookoo watch should last about a year before needing replacing. Secondly, the Cookoo watch is water resistant and the company claims you can even take it swimming with you. We tested it in a number of water situations including swimming and watersports and it worked each time without any issues. The Cookoo smart watch connects to a smartphone via Bluetooth 4.0. Unfortunately, it's currently limited to a range of Apple devices including the iPhone 5, iPhone 4S, iPad mini, iPad (4th & 3rd generation) and iPod touch (5th generation) running either iOS 6 or iOS 5. ConnecteDevice says it is working on Android compatibility, but hasn't provided a time frame as to when the watch will work with multiple smartphone platforms. Given the popularity of Android, this is critical to bring to market as soon as possible. 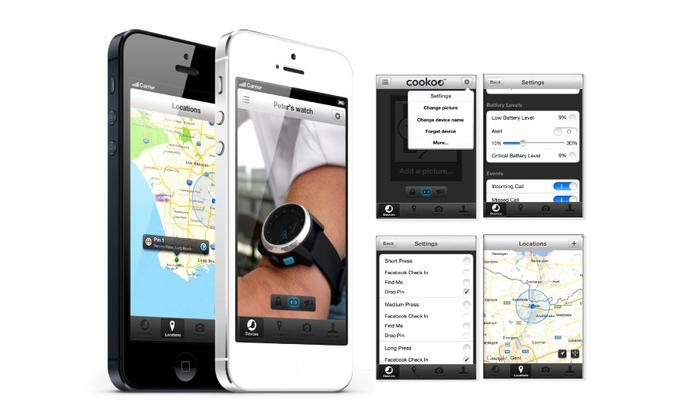 The Cookoo watch is currently limited to iOS smartphones including the iPhone 4S and iPhone 5. Once connected to your iPhone or iPad via Bluetooth, the Cookoo watch works by using a combination of icons displayed on the watch face along with a beep and/or a vibration for alerts. The icons are fairly straightforward — there's a phone icon for incoming call and missed call alerts and a calendar icon for calendar reminder alerts. The Cookoo logo signifies an active Bluetooth connection, three dots indicates that vibration mode is activated and a musical note denotes that an audible beep for alerts is switched on. The vibration alert is weak and its intensity can't be adjusted. The watch can be set to display notifications for any incoming calls, missed calls, Facebook messages and wall posts, calendar reminders and low battery. It will also alert you when you wander too far from your iPhone or iPad, which is handy if you have a tendency to lose or misplace your phone. There are Twitter notification alerts too, but our review unit wrongly displayed the SMS icon for these, instead of the correct Twitter icon. While all of these basic notifications work, they could use plenty of improvement. The audible beep isn't loud enough and can be easily missed, while the vibration alert is weak and its intensity can't be adjusted. The notifications the Cookoo watch is capable of displaying. The Cookoo watch is very limited compared to some more advanced smart watches. There's currently no alerts for incoming text messages or emails, for example, and the alerts themselves are very basic. The watch doesn't have the ability to display any text, either, so there's no way to see any caller ID information on an incoming call. It's all very basic stuff. There's no way to see any caller ID information on an incoming call. ConnecteDevice says SMS and email alerts will be released once they are supported by Apple's iOS platform. It also says that the ability to control music (play/pause/skip), set an alarm clock and use a countdown timer are other currently unavailable features that will be coming to the Cookoo watch via a future firmware update. There are a couple of advanced features, though they don't add too much to the appeal of the product. A 'command' button on the right side of the watch can be programmed to check into locations on Facebook and users can also program the same button to act as a shutter for the iPhone's camera or drop a location pin on a map in the Cookoo iOS app. You'll never use these features as there is no practical need for them. The design of the Cookoo watch makes it look very much like an ordinary watch. These functions and more can be configured using the dedicated Cookoo iOS app. The app works well enough, but it feels very much like a first effort and the interface is bland and uninspiring. ConnecteDevice were keen to point out to us that the upcoming availability of an API for third party developers should see more features and capabilities added to the Cookoo watch over time, but as of right now, the watch is extremely limited. The Cookoo smart watch is available now through ConnecteDevice's website for $129.99.